Artificial Intelligence is clearly getting a lot of attention at CES 2018 and LG, which is functional across nearly all fields of electronics, is not keeping behind. LG Electronics has introduced a new partnership platform under the LG ThinQ sub-brand that brings AI capabilities to connected products from LG and its ally companies. 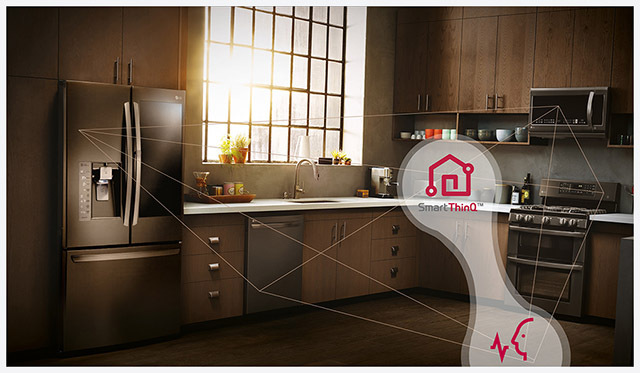 LG DeepThinQ, which from its name sounds like a transcendent version of LG ThinQ, is essentially the earlier IoT platform now enhanced with the prowess of deep learning for appliances and gadgets which use a lot of sensor data already. The DeepThinQ platform will associate an individual’s data to their habits and patterns, while trying to learn about your preferences, biases, likes and dislikes across all categories such as movies, music, automobiles etc. Touted as a “state-of-the-art AI platform“, DeepThinQ 1.0 integrates sensor, voice, and video recognition data with detection of moving objects i.e. 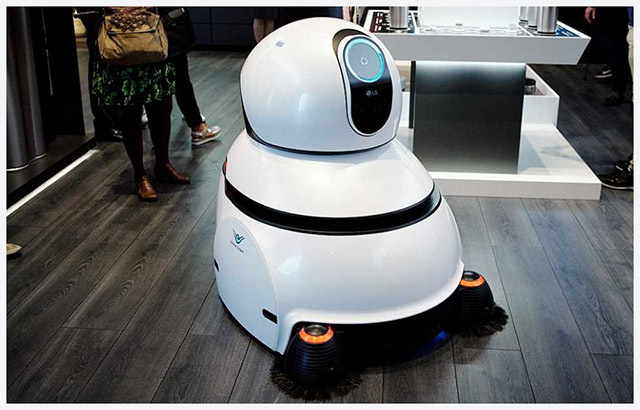 human bodies, pets and perhaps robots, to alert users about the safety and security of their homes, as well as to act as a caretaker for the residents. It’s somewhat like a virtual assistant managing everything around your house. Products inducted into the DeepThinQ line will use the cloud to educate themselves over time to bring you a personalized experience. It’s all a little unclear at the time, but LG is betting big on creating AI-powered experiences in its product line-up. LG also plans to bring integration for Android, Linux, and WebOS which means we get a uniform experience across most devices. Imagine, for instance, your refrigerator can automatically lower its temperature by analyzing the kind of eatables stored inside it. Furthermore, it can also do so by exchanging data with the central air conditioner or the washing machine, which also use data from a smart thermometer, or by reading the amount of perspiration on you and your clothes. This is what LG is planning to create with the DeepThinQ platform. Of course, the imagination supersedes reality at this point, because LG has not really outlined which of these devices it will be launching. Smart machines will have not just their own data to use and understand, but from others too. While on one face, it might seem like a harmonious exchange, from another point of view it looks somewhat like a student having to learn every subject in the world to to the exam. That’s the inter-connected vision LG is presenting. Only time and the market can tell whether LG’s big bet can turn into any rewarding. At least we can hope that if LG doesn’t get it right, one of its rivals will, to present us with an AI-dominated future and interconnected homes.